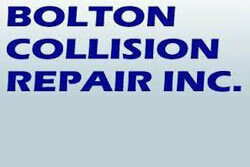 WELCOME TO BOLTON COLLISION REPAIR, INC. Accidents can happen. From a small fender bender to a major collision, Bolton Collision Repair can take care of all your auto body needs with great emphasis on customer service. Owned and operated by Dave Wilson for over 25 years. His attention to customer service is second to none! From dents, scratches, and minor repairs to major collision work, we do it all! At Bolton Collision Repair, we strive to remove the annoyance associated with being in an accident, and try to get you back on the road with confidence, in the least amount of time. Whether your vehicle requires major collision repair, or minor repairs due to scrapes and scratches, our facility offers the reliability, quality and affordability our customers can count on. Call us today and have your vehicle serviced by the professionals at Bolton Collison. Bolton Collsion is not only an amazing repair shop, they also sell top of the line used cars. I recently purchased two used vehicles from Dave and I have to say it was the best car buying experience I’ve ever had. The cars were reasonably priced and in excellent shape. Dave makes sure he has nothing but the best for his customers. He and his staff go above and beyond to make sure you’re happy with your purchase. For example I spoke to Dave the day before I was to pick up the car and he said I just put four new tires on it!! The car tires were in good shape and I told him that, but he it was no problem, he wanted to make sure i wouldn’t have any issues with them.Wow!!! What service!! So if you’re in the market for an excellent used car Dave and his Staff are the ones to see. I had the greatest experience with Bolton Collision. Staff were upbeat and friendly. They took care of all my insurance paperwork, did an awesome job on my repair and cleaned and shined my entire truck inside and out. It looked brand new. I highly recommend them! I highly recommend Bolton Collision Repair. They fixed my car in a timely manner and kept me informed throughout the entire process. I got my car back Saturday and it looks brand new inside and out. I would definitely go back. Dave and his Bolton Collision Repair staff serviced/repaired my car this week; I am delighted with the results – it’s worth the ride to get things done right. I highly recommend this business. Thanks, again, for a positive experience! I highly recommend Bolton Collision for their excellent work, fantastic staff, and friendly customer service. My family and I have taken our cars here for years, and have always been extremely happy with their work. They go above and beyond in every way–we wouldn’t go anywhere else! There’s no other place I would take my car for body work other than Bolton Collision. Dave and Mary Ann are outstanding professionals. Dave’s work is thorough and clean. My car came back to me better than when I first got it! Mary Ann takes great care of your needs in scheduling and updating you on progress. The whole process was completely seamless and I wouldn’t hesitate going back if I’m ever in need of car repairs again! Highly recommended! Thank you all! Best experience in autobody repair I have had. Very accommodating to customers. Will never go anywhere else. Very helpful staff! I highly recommended this place! Your every question will be answered and explained. Five stars!!! My entire experience with Bolton Collision was fantastic from the first phone call! 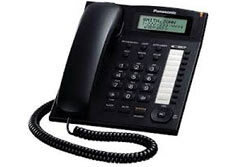 The individual answering the phone is knowledgeable, professional, polite and friendly. I needed to set up a rental car because my truck needed some body work. Bolton Collision set everything up for me! All I had to do was drop my truck off and pick up my rental. The whole process took less than 10 minutes. Dave called me to explain the repairs he was going to do in detail. When I went to pick up my truck, it looked brand new! The professionalism and attention to detail was top notch. 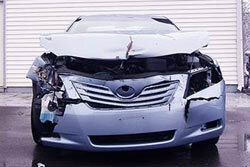 I will definitely bring my vehicle back, and recommend Bolton Collision to all of my family and friends. I got into an accident, and I had my car towed to Bolton Collision. Dave called the next day with a quote, and did some minor repairs to get my car running without charging me! Taking my car back to him to finish the rest of the repairs soon.